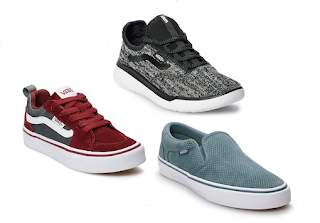 Head to Kohls were they have Vans shoes on clearance for up to 60% off. Prices start at $16.99. There are 11 different styles to choose from for toddlers, boys and girls. In addition, through October 17th, get $10 in Kohl’s Cash for every $50 you spend. Your Kohl’s Cash will then be redeemable from October 18th – October 28th.